Front Row l-r: Teresa Ohler, Tiffany Thrasher, Bridget Spencer, Neely Robertson, Amber Peters, Tameri Dunnam; back row l-r: Endowment Board Representative Chandler Rogers, Endowment Board Representative Carrie Rogers, Penny Logan, Tammie Dodds, Julie Hatcher, Susan Kelly, April Hobson, Lori Henson, Lisa Skinner, Julia Harrington, Endowment Board President Keith Conlee, Jordan Murry. 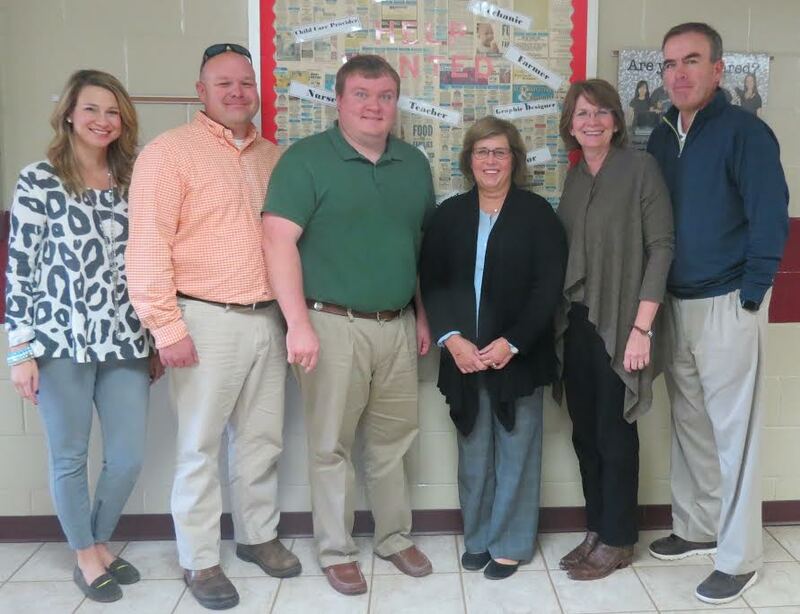 New Albany, MS- The Dean Provence Endowment for Excellence in Education Board has announced the allocation of funds totaling nearly $11,700 to teachers in the New Albany School District (NASD). In an effort to maximize the effectiveness of the awards, this year grants were directed to New Albany Elementary School and the New Albany School of Career & Technical Education. Endowment funding will be used for equipment and materials in the classroom that are not typically covered by the school budget. The Endowment for Excellence in Education was begun in 1986 as the vision of School Board member Dean Provence. Provence, a New Albany native, was an active volunteer in both school and community activities. Through his volunteer efforts, he recognized the need for additional funding in the schools for projects and classroom materials, and was instrumental in establishing the endowment fund. Following his death, the locally supported endowment fund was renamed in memory of Provence and has continued to provide needed funding to classrooms in the New Albany Schools for more than twenty-five years. Since 1986, the Endowment has provided approximately $347,000 in support to the NASD.